Getting an itchy scalp is common in the summer, but it can be very irritating. It’s hot, and you may be more physically active than usual. Plus, you’re more likely to be outside in the warm sun, creating a build-up of sweat on your scalp. 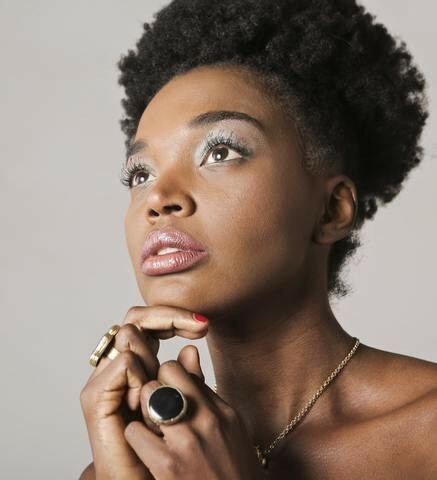 Recently, at Snappee.com we've had naturalista's asking the question about itchy scalps a lot. Itching the scalp too much or too hard can hurt your hair follicles and impede hair growth. Plus, it’s embarrassing to be constantly scratching in public. Ready for some relief? In this post, you’ll find ways of relieving your itchy scalp, so you can go back to growing long, healthy hair. This one is obvious, yet overlooked by many curlies. If your scalp is itching too much, it may just be dirty. It might help to add an extra wash day to your regimen during the summer, but you may be reluctant to do it. Unlike other hair ties, you can wash and dry Snappee Hair Ties. One fear is that if you wash your hair too much, dryness will follow. It’s true that most shampoos dry out your hair and leave it in a tangled mess. However, if you use slippery shampoos and good techniques, you may be able to steer clear of dryness. Use Moisturizing Products. Avoid products that contain a lot of drying chemicals. Check the label for sulfates, bad alcohols, and petroleum byproducts. Co-Wash or Do a Rinse Only. You may choose to do a co-wash only on the additional day. Other options include rice rinses and plain water. Experiment with Frequency. Your extra wash day doesn’t have to come at the exact midpoint. Take note of which day your scalp begins to itch. For instance, you could try washing every five days instead of seven. Focus on Scalp When Shampooing. Forget the phrase “wash the hair”. It’s the scalp that needs to be cleaned when you have curly hair. Excessive cleansing can strip the hair of natural oils. In fact, your strands don’t need to be scrubbed at all. Your hair will get clean enough from the run-off as you rinse. Don’t Condition Your Scalp. Avoid the temptation to massage conditioner into your scalp. You want your follicles to be clean and unhindered. Conditioners could clog the follicles and irritate your scalp. Even the most natural conditioners contain ingredients that can make your scalp itch sooner than your next scheduled wash day. Dandruff shampoos aren’t only made for dandruff. They’re for reducing scalp conditions altogether. If you have an itchy scalp, these shampoos can help, even if you don’t have dandruff. Are you avoiding dandruff shampoos because they’re typically too conventional and chemical-based? If so, then you’ll be happy to know that there are several new sulfate-free dandruff shampoos on the market that may benefit your scalp. Seven days is too long to make your hair wait for hydration. Even if you do the LOC method, your hair will likely need hydration and moisturization during the week. 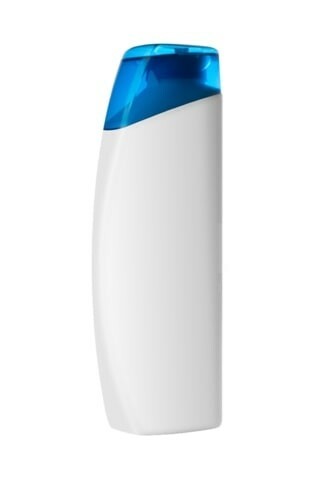 You can either wet your hair in the shower for hydration, or simply use a water spray bottle to dampen your hair. If you want more than water, try a detangler, a leave-in conditioner, or aloe vera juice. Then follow the hydration with the rest of the steps in the LOC method. Applying oils to the scalp isn’t usually recommended unless you’re suffering from a dry scalp. Greasing the scalp can clog hair follicles and impede them from growing hair. However, some essential oils may heal the scalp, and some are even scientifically proven to speed hair growth. So, you’ll need to experiment and evaluate whether you want to go this route. You may consider applying the oils to relieve some itch and to give you an extra 1-2 days before the next wash. But if the oils begin to comingle with dirt that results in grime, you should wash your scalp as soon as you can. Tea Tree Oil. This essential oil acts almost like natural turpentine, and it is very cleansing. That said, you may want to avoid adding it to products because it can quickly dry out your hair. Instead, massage it directly into your scalp. Peppermint and Eucalyptus Essential Oils. Both peppermint and eucalyptus contain cooling menthol that will immediately soothe your scalp. These two oils are scientifically proven to grow hair, and they are very potent. Consider diluting them with a small amount of castor oil. Lavender Essential Oil. Like many essential oils, lavender helps to kill any fungus or bacteria that is growing on your scalp. It can be very beneficial to use it for both prevention and treating scalp microbes. Black Jamaican Castor Oil. Castor oil is not an essential oil, but you may find it useful for healing the follicles. Many naturals swear that it speeds hair growth too. Castor makes an excellent carrier oil for strong essential oils. Using a natural baby wipe or face pad on the scalp may help relieve some of the itch. Antiseptics are typically made of drying ingredients that could potentially dry out your roots, so you won’t want to use this method more than 1-2 times per month. Many naturals at Snappee.com like to apply an antiseptic like Sea Breeze to a cotton ball or paper towel to clean the scalp. However, be gentle when you wipe your scalp. Harsh rubbing can lead to soreness. You’ll find antiseptic pads helpful for unclogging the follicles just like you’d use them on your face to unclog pores. 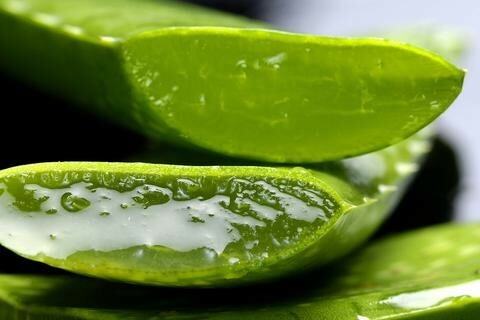 Using aloe vera is a sneaky way of wetting the scalp without fully immersing the hair. Aloe is one of the most healing resources on the planet. Aloe has hydration properties and it can even be used in place of water. It nourishes skin and soothes scalp itching and irritation better than water will too. However, aloe costs a lot more than water and it doesn’t make sense to use only aloe vera instead of H20. But you can use it to cleanse and relieve itching by massaging a small amount of the gel into your scalp. Washing your scalp regularly is important in the hot months. And you should never go too long without hydrating your hair, but it’s a good idea to keep a good arsenal of ingredients in your bathroom cabinet for itchy days. Now, it’s your turn to discuss. Do you have any methods you like to use to relieve itchy scalp on natural hair in the summer?